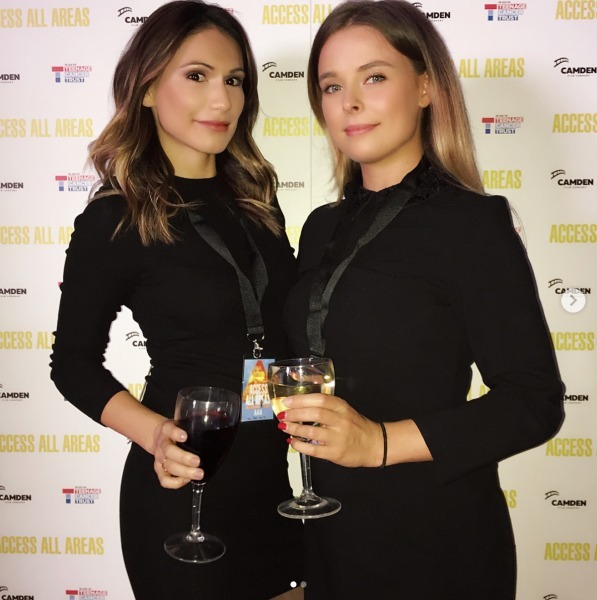 On Tuesday 17th October, Luxuria Lifestyle ambassadors Lauren Shepherd and Kris Martinez attended the ACCESS ALL AREAS VIP film screening at Proud Camden in support of Teenage Cancer Trust. Starring Edward Bluemel, Ella Purnell, Georgie Henley and Rizzle Kicks’ Jordan Stephens, the film was fantastically British with a happy-go-lucky storyline. Without wanting to give away too much, the film is a must see! Four teenagers head off to a summer music festival to escape their parents with a fun, free and fully comedic monologue, we’d recommend this film to anyone who wants to reminisce about those days of falling over, dancing in the mud and drinking endless cans of lager to your favourite musician in a field with thousands of fellow music lovers. After all, rhythm is a dancer! The event itself had a laidback, festival-like ambiance with haystack chairs and sofas covered in hippie styled cushions. Canapes made their way through the event and with every passing waiter we found our hands full. Hopefully not looking too greedy, we devoured Mini Burgers, Tomato and Mozzarella Bruschetta, Mac ‘n’ Cheese, Cocktail Sausages with honey sesame glaze and Proud Veggie Burgers. Yum. 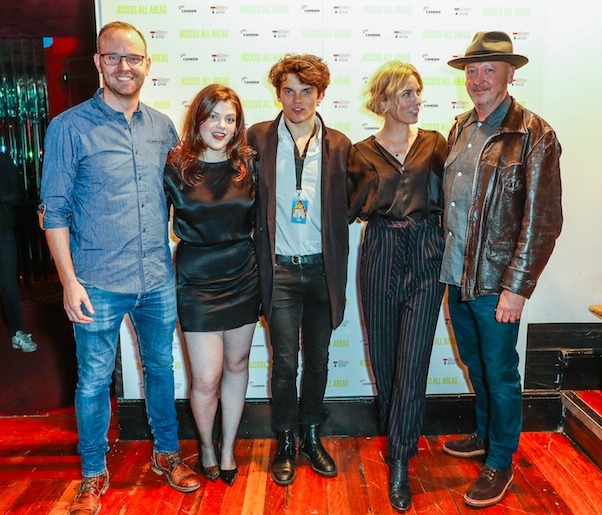 After the film we socialised with the cast and production team with bubbles to hand. Needless to say, we might have had a flute too many! Soft lighting gave the room a chilled vibe making it easy to integrate with the stars of the movie who were more than willing to do so. We were able to briefly converse with the lovely Georgie Henley, who plays Natalie in the film. Such an amazing night for such an amazing cause, Teenage Cancer Trust. Some of you may be affiliated with certain charities but if any of you are feeling particularly generous, please delve into the depths of your pockets for an online donation for such a worthy charity. Click here for all the info. The film will be released this Friday 20th October, so get your Saturday night cinema tickets booked and prepare yourself for a lot of laughter and light-hearted entertainment.